Tomorrow’s transportation is poising towards a radical change that could influence various spectrum of life and technology. Today the transportation is mainly product centric; and we talk about Intelligent Transportation Systems (ITS) aiming to provide innovative services relating to different modes of transport and traffic management. The current approach is vehicle-level focused, independent, unconnected and subject to behaviors and decisions. In the recent past, the transportation scenario is gradually changing into system-level focused, connected, automated, in concert with other products and services, across modes and, managed behaviors and decisions. 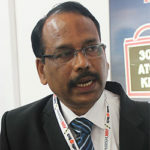 However, writes, Dr. P Ravikumar, Associate Director, C-DAC Thiruvananthapuram to achieve these goal different agencies such as energy, safety, mobility and, industries such as automobile, electronics, software, telecom etc. need to work together. Government also has a major role to play in bringing about this change, because the changes affect the business community, employment and the regulations currently in place. The most talked about traffic problem across the globe is congestion; and we all are worried about the exponential growth in vehicle population. Looking at the simple statistics of personal vehicle usage, the average car spends majority of its time parked and taxi drivers spend three-fourth of their working time waiting for a customer. Also almost half the kilometers driven by taxi are without generating revenue. To address this grave underutilization of resources the scientific community, government and private service providers are seriously thinking of, rather started introducing in many counties, ride sharing and autonomous vehicles, and offer the mobility needs as service. This will reduce private owned, driver-driven vehicles on the streets; an effective congestion mitigation measure. It aims at globally scalable door-to-door mobility services without owning a car that offers better level of service than the private car. The concept of autonomous vehicles appears to be highly promising; but, the challenges are enormous – technological, regulatory, social, physical, psychological and most important, security. Various models of transportationas- a-service are already in place. Uber, Ola and similar services are classic examples of ‘one-click-one-service’ addressing the regular transportation needs of persons. Planning a travel normally starts with a ‘Trip-planner’ that provides different travel choices for the commuter. This can be easily enhanced with booking of the tickets as well, changing its advisory role to a service, typically more focused on the traveller with special needs and mobility management. Mobility Management is a process of managing a coordinated community-wide transportation service network comprised of the operations and infrastructures of multiple trip providers in partnership with each other. Billions of dollars is being invested towards autonomous vehicles these days. Once the dream comes true it is expected that the accident rates will drastically reduce and the goods and persons can reach destinations more safely and quickly. Perhaps, we may not require the traffic signal controllers, red light and speed enforcement systems in future because everything will be monitored and controlled centrally by computer applications leveraged by sensor network and powerful algorithms. 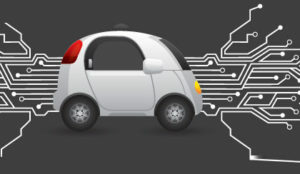 The ride-sharing and autonomous vehicles can potentially affect automotive industry, insurers, lenders, technology companies, telecom providers, energy suppliers and the governments. The concept of Transportation-as-a- Service is combining transportation services from public and private transportation providers through a unified gateway that creates and manages the trip, which users can pay for with a single account. People need not own a vehicle for their transportation needs; whether person or goods. Major components of Transportation Service are (i) Vehicles (ii) Drivers (iii) Mapping of road network (iv) Routing and (v) the Riders. Look at Uber or Ola. They don’t own either vehicle or drivers; those are hired. It means the basic infrastructure is already available to provide the service without physically owning them. Detailed road network maps with GPS coordinates and landmarks are required to service the commuter for his travel needs of moving from point A to point B. The system also requires a powerful routing algorithm that identifies the best route for the travel. The shortest path may not be the easiest path always. Therefore, the routing algorithm has to be real-time operating in coordination with real-time traffic data collected from various sources. The problem gets more complicated for shared rides. Four passengers are to be picked up from four locations and dropped at different locations maintaining the optimum route and travel time. This need to be updated several times during a single trip as passengers alight and new passengers board the cab. While developing such algorithm one needs to look at what is the optimum number of riders and their behavioral pattern. The system will also require fare collection application linked with real-time traffic. For running such a system huge back-end infrastructure is required. Now, the question is whether it is possible to build such an infrastructure by the transport service providers themself and maintain all the components required to serve the transportation needs of the customer. Probably, not; they will have to align with different industries at different levels. This indicates that in future the industry relations will also change drastically because the transport system is becoming customer service. The automobile manufacturers shall d e p e n d on the mobility service providers; the mobility service providers shall have agreements with map providers who own satellites and software industry for routing algorithm, fare collection and related activities. They should also have agreements with telecom agencies because fairly good bandwidth is required all the time for the vehicles to communicate with the backend servers. The autonomous vehicles will require a few dozens of sensors for its navigation without drivers. Roads will become intelligent to communicate with the vehicles and backend servers and also data collection. The electronics industry has a great role to play. Future vehicles will mostly be operating on electricity. The energy department needs to improve their service to meet the demand. When everything is computer operated the risk of cyber security is very high. Since the system can track every rider, data management and privacy are as important as the Cyber security. People own automobiles for various reasons; but the basic reason is for using transport to use the vehicle at their convenience. Tomorrow if all the transportation needs are met by some service provider through guaranteed service level agreement (SLA), naturally, no one will want to own a vehicle spending money for purchase of vehicle, parking space, road tax, cleaning, maintenance etc. and also face accident risks. This could be disruptive for automotive industry. If there are no takers for the vehicles, they could only lend them to mobility service providers. It does not mean that tomorrow there will not be any personally owned driver driven vehicle on the road. It will still be there; but their percentage of penetration will be much less compared to the current day situation. With autonomous vehicles need for expert drivers will also come down. It is expected that the number of accidents will come down. Hyperloop that transfers passengers at high speed on levitated track is also being tried on test paths. This could bring revolutionary changes in the transportation sector. The autonomous vehicles and Hyperloop will be used to transport goods as well. With the concept of Transportation-as-a- Service, people can buy the service from a provider at a much cheaper cost than having own vehicle. This will require diversification and consolidation of transport manufacturers and service providers. Standards are required to be defined for vehicle safety and, for connectivity and interoperability. With all these constraints, we still can dream a congestion free city network with autonomous vehicles transporting person and goods in a cost effective, safe manner and better pace.